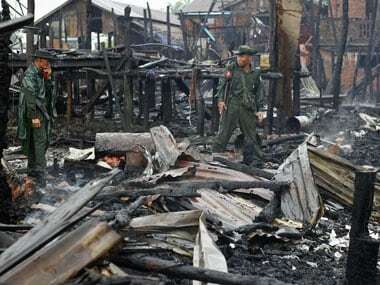 Siitwe, Myanmar: Myanmar authorities have revised downward to 64 the death toll from this week's ethnic violence in the country's west after warning that the strife risks harming the country's reputation as it seeks to shift to democratic rule. 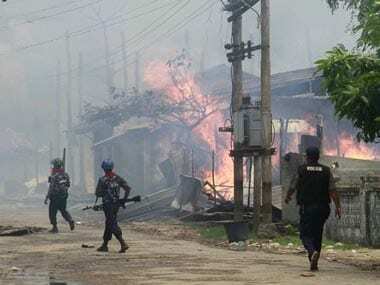 Rakhine state spokesman Win Myaing told reporters late Friday that the previous count he had given of 112 dead in clashes that began Sunday was a mistaken tally of figures that had reached his office. 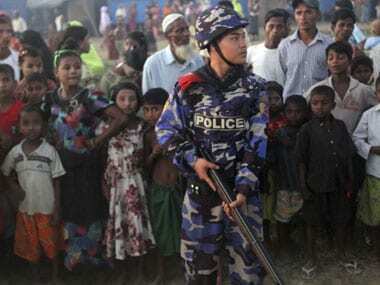 He said that as of Friday evening, 33 men and 31 women had been killed in violence between the Buddhist Rakhine and the Muslim Rohingya communities, with 68 wounded. "Many of those who were killed as a result of clashes between the two sides, and at least two died of gunshot injuries," Win Myaing said. 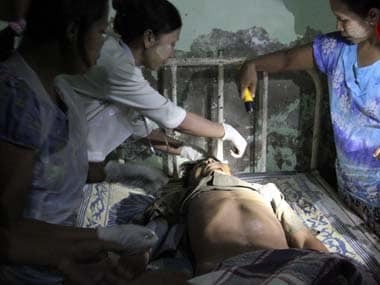 Some Rakhine residents in affected areas have told The Associated Press they were shot at by government soldiers trying to keep order. The figure released by Rakhine officials had been at odds with lower number released by the office of President Thein Sein, but the discrepancy had seemed to be accounted for by the time period covered.